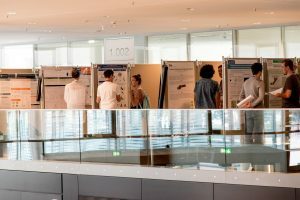 The doctoral programme “Imaging the Mind” (DK-IM) aims to provide students with a strong focus on experimental design paired with a solid foundation in cognitive theories, philosophy of science, and (neuro-) biology. We offer a range of lectures and workshops, some of which are compulsory while others are optional and you can choose according to your wishes, interests, and needs. Wherever necessary we invite experts from other departments or institutions. There is also funding for additional workshops according to your needs – students are encouraged to tailor the programme! Our current students also highly appreciated so-called “specialisations”. Here, students focus on reading and discussing scientific papers with the aim to provide them with a solid foundation for the field of specialization. This reading is organised and supervised by alternating faculty members outside of the student’s main scientific field and thereby fosters an interdisciplinary understanding of the chosen study topic. 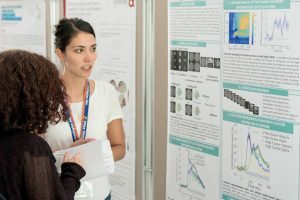 During the winter schools students and faculty spend three days days together outside of the city of Salzburg, interact socially, train presentation skills, discuss data, research topics and scientific career aspects in an informal way. In the summer schools, we will have a stronger focus on scientifc presentations by the students together with a big and critical scientific audience. 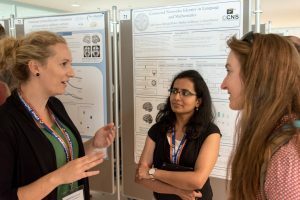 The summer schools are 1-day satellite event of the Salzburg Mind-Brain Annual Meeting (SAMBA), where the DK invites keynote speakers as well as their PhD students to participate in a “Young Scientists Symposium”.